ABOUT US is also ABOUT YOU! Artisan Ideas is the publishing imprint of Artisan North America, Inc. and is also the name of the company's online bookstore. Artisan Ideas’ clients are professionals and serious hobbyists looking to improve their skills in specialized areas of craftsmanship. For over 18 years Artisan has provided blacksmiths, knife and sword makers, jewelry makers, machinists, gunsmiths, and other craftspeople with the best instructional books and videos available. The company was founded in 2001 by Jim Blaho. Jim received his Bachelor of Science degree from the University of Minnesota in 1978. 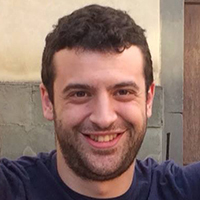 After graduation he began his own publishing house in Florence, Italy. In the mid-1980s he sold his company and began working for the international division of the educational publishing house, Prentice Hall, which was headquartered in England. Through the 90s Jim worked for Pearson Plc (a Fortune 500 company and in that period the world’s largest publishing house) as Sales Manager for Southern Europe and the Middle East. 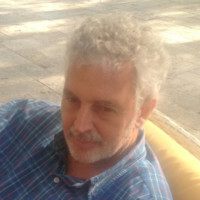 He left Pearson in 2001 to pick up where he left off in the 1980s and set up Artisan Ideas pursuing his dream of publishing high-quality instructional books. After graduating from law school in 2015 Jim’s son Andrew joined him in running the company. 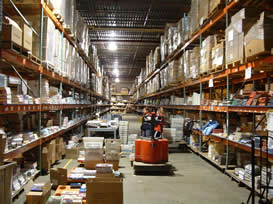 Jim and Andrew are backed by a great team including Jane Cavallo in the Accounts Dept., Brad and Elayne Searles and their hard-working and enthusiastic crew at the Fulfillment Warehouse who get Artisan’s well packaged orders out of the warehouse every day come rain, sleet or snow, and the star duo of Elisabeth Foster and Daniela Rossa who design Artisan’s books. There is also an extensive group of highly talented freelance proofreaders, technical editors and artists behind the Artisan Ideas publishing imprint. From Artisan’s somewhat humble beginnings in 2001, occupying a one room office/warehouse in Westfield N.J and with only two employees, to the company’s present situation with its business office in Watchung, NJ and its warehouse (once the Eastern seaboard’s warehouse of the Lipton Tea Company) in Flemington, NJ, Artisan Ideas has experienced very strong and continuous growth both as a publisher of high-quality books and as a bookseller. WOULD YOU LIKE TO WRITE A BOOK OR PRODUCE A DVD FOR ARTISAN IDEAS? If you are interested in writing a book or producing a video for Artisan Ideas we would be very glad to hear from you to discuss your idea. If we think there is a market for your project, we will help you develop it and turn your idea into a book or DVD that will help others. Contact Artisan Ideas at: Info@ArtisanIdeas.com.